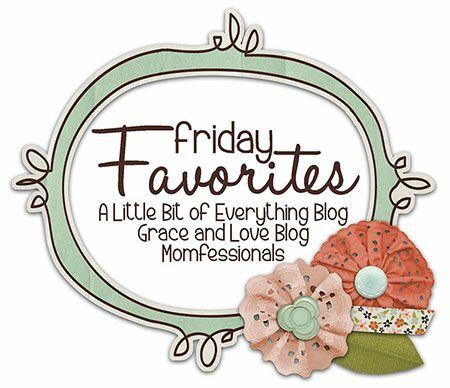 Happy Friday, Friends!!! Another week in the books! 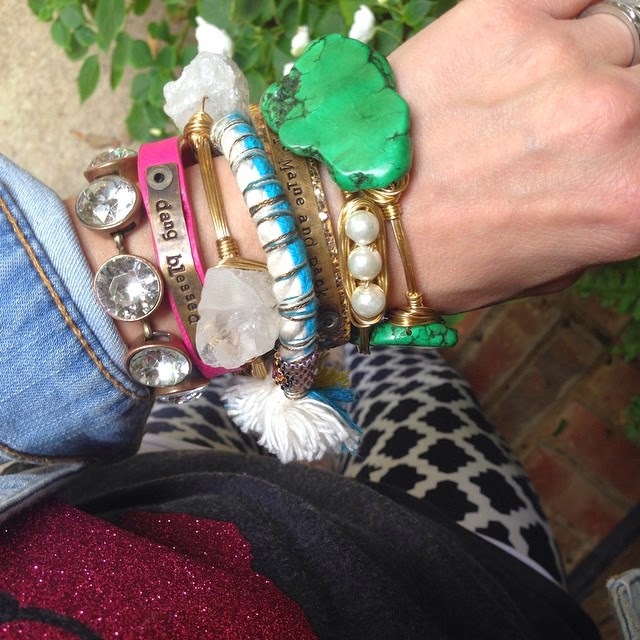 I LOVE a good "stack" and get asked often about my bracelets, so I thought that a post about them would be fun! 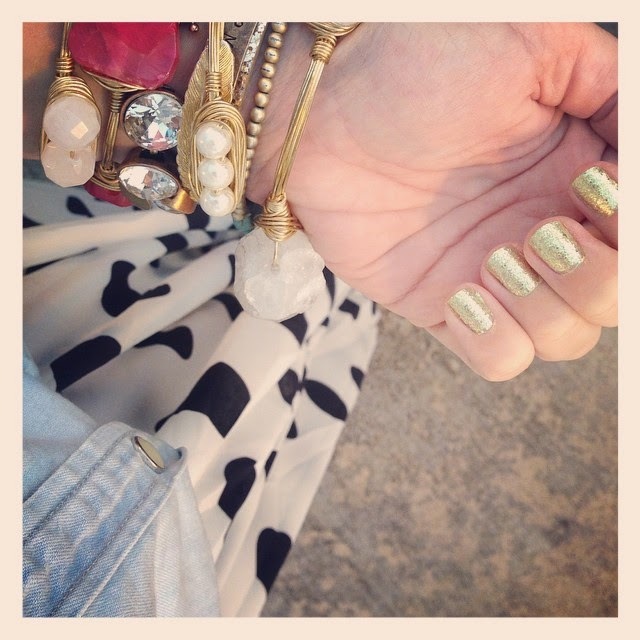 I like to mix textures, colors and metals. 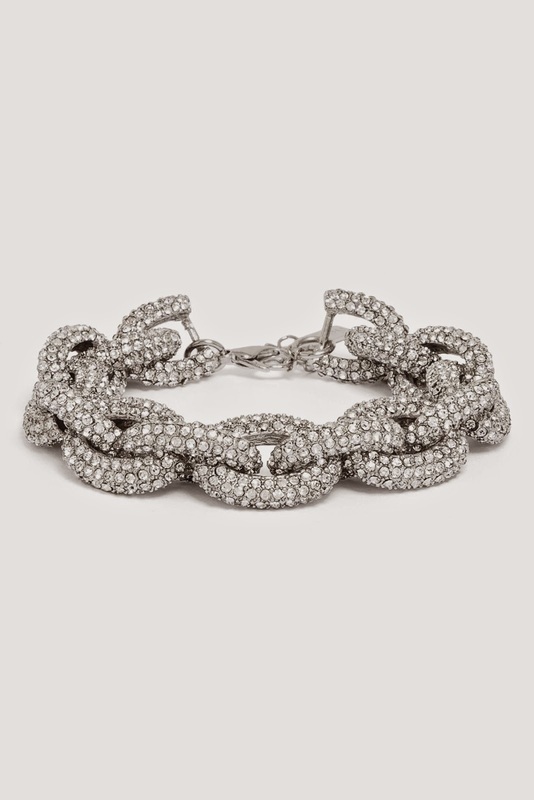 I think I picked up my big crystal bracelet on GroopDealz one time, but TaraLynns has a GREAT OPTION in stock right now. And since we're talking TaraLynn's - check out this one on sale for $3.99!!! 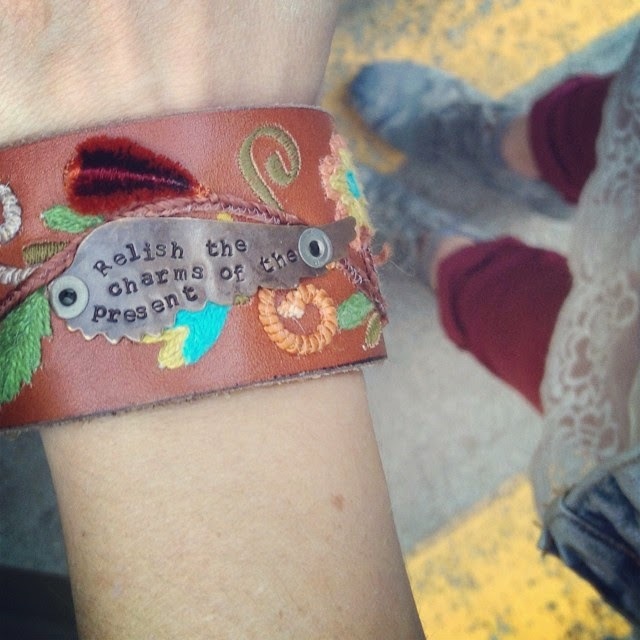 The bracelets with the handstamped plates are by FarmgirlPaints on Etsy. She's AMAZING!!! You pick the bracelet you want (she has every color, size, etc.) and the plate along with the message you want on it and she makes them to order. She's currently closed, but will be opening up again in November. I have several of hers and I love putting things my kids say, special sayings and song lyrics on them. I originally fell in love with her wider cuffs, but now I'm really loving that I can mix the thinner ones in with my other bracelets. 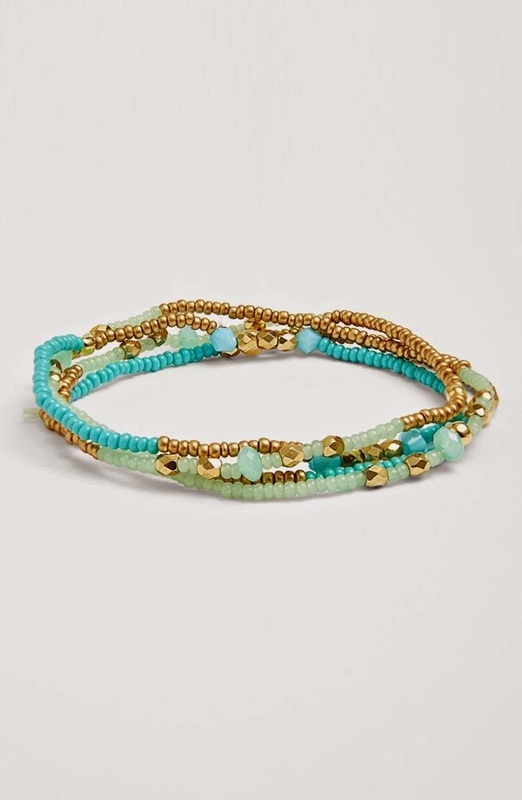 The feather bracelet in a few of my other pictures is from Anthropologie along with the "tassley" one. I ALWAYS check out their sale table for fun bracelets and usually can pick up some cute ones. The colors on this one are PERFECT for fall and the set on the right is perfect for mixing in with other bracelets. If you haven't checked out the Nordstrom Rack website in a while, they have some great options as well. 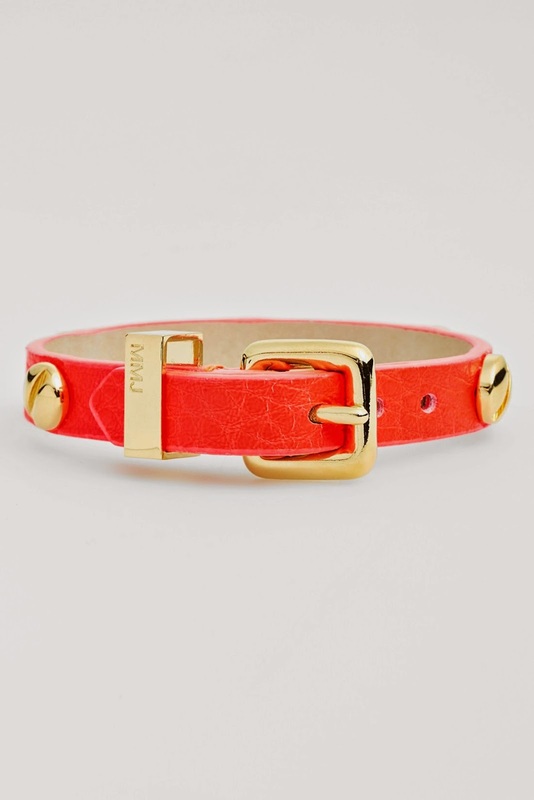 This BaubleBar link bracelet is 40% off and this Marc Jacobs buckle bracelet is 70% off! 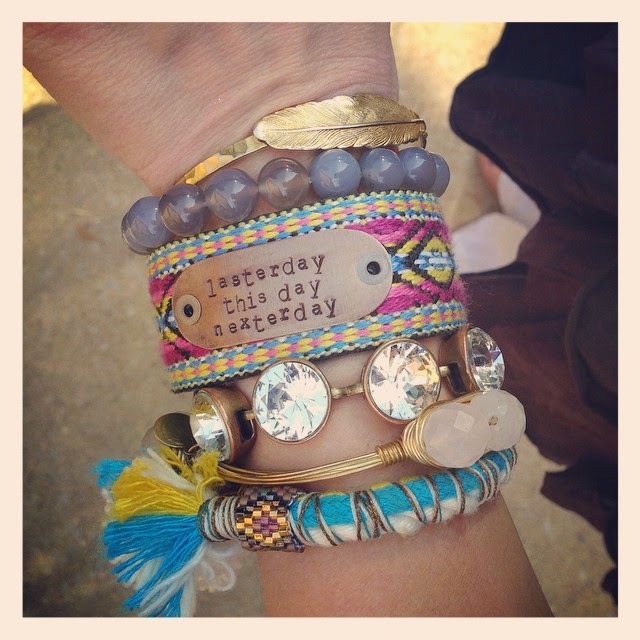 Have a fantastic weekend and have fun stackin' them on for errands, church or whatever :) Tag me in your IG pics - I'd love to see your arm parties!!! Last... I think October MIGHT be my Favorite month and we've kicked it off in STYLE!!! 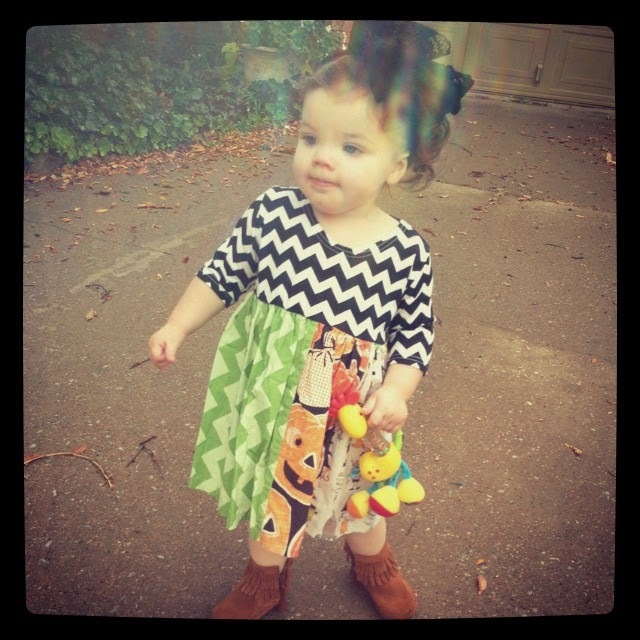 Brace yourselves for some major Halloween cuteness coming up!!! 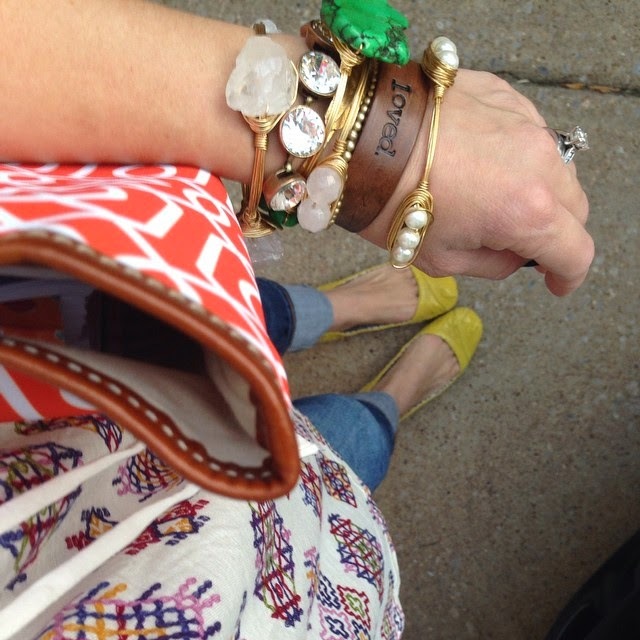 I love all of the arm candy!! 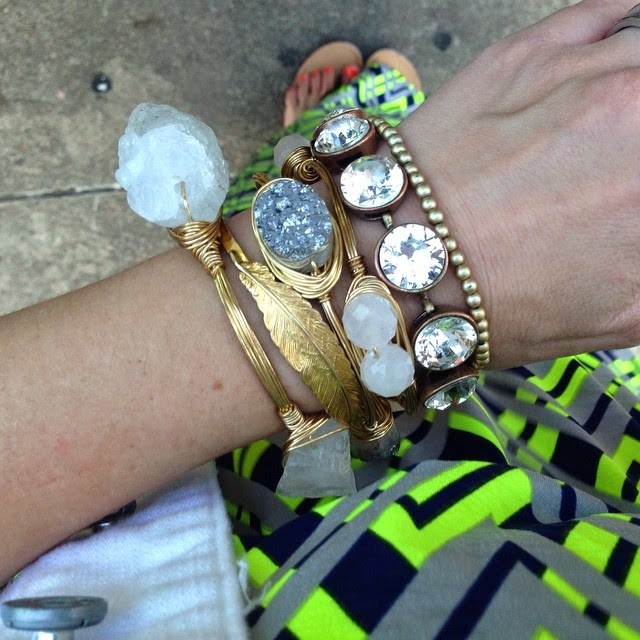 I love your bracelet stacks! 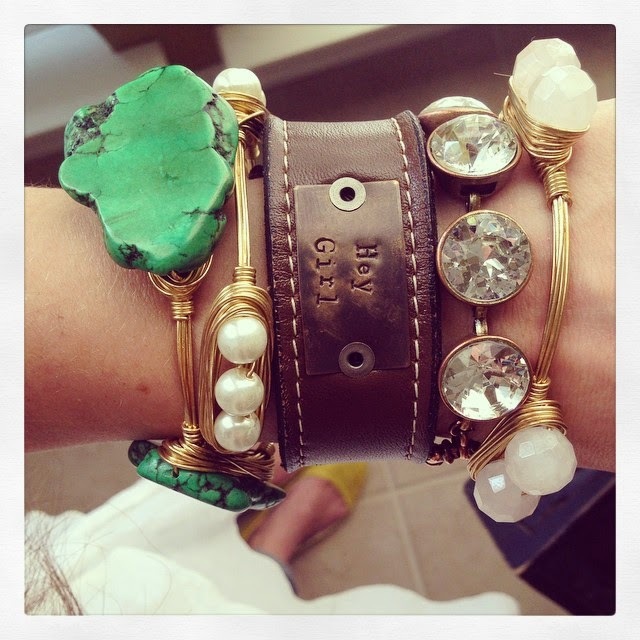 Thank you for sharing, I will be purchasing the rock bracelets... LOVE! Happy Friday!! You always have the best arm stack! I'm loving the bracelets with the hand stamped plates! 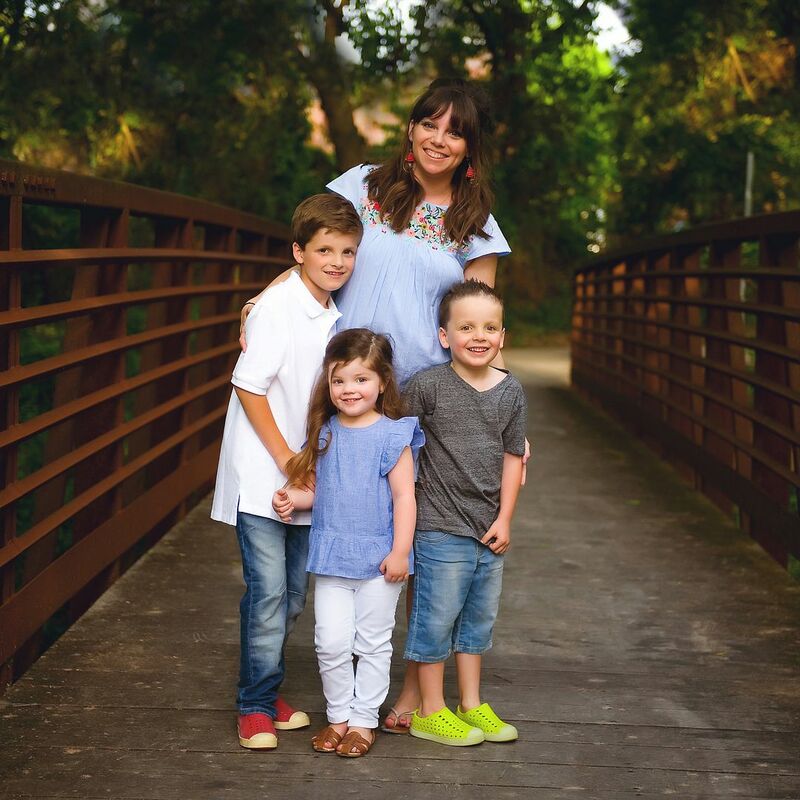 Thanks for sharing where to find them! Those farm girl bracelets are so cute!!! They look great mixed in with your other ones!! Okay, so I think I'm going to have to finally get one of those personalized bracelets. You know Carter says "lasterday" like Mason....but he always says "Renember (with an n) lasterday?" I think mine will say "renember lasterday". Love!!! Hey, just wanted to say that I'm sorry I linked up twice. I just realized the first one had the wrong link so I did it again to fix it! Anyway, I especially love your hand stamped bracelets. So cute! I love bracelets too. My favorite is a hand stamped one I have from All My Heart Shop that says "For this child I waited" for my 2 adopted little ones! 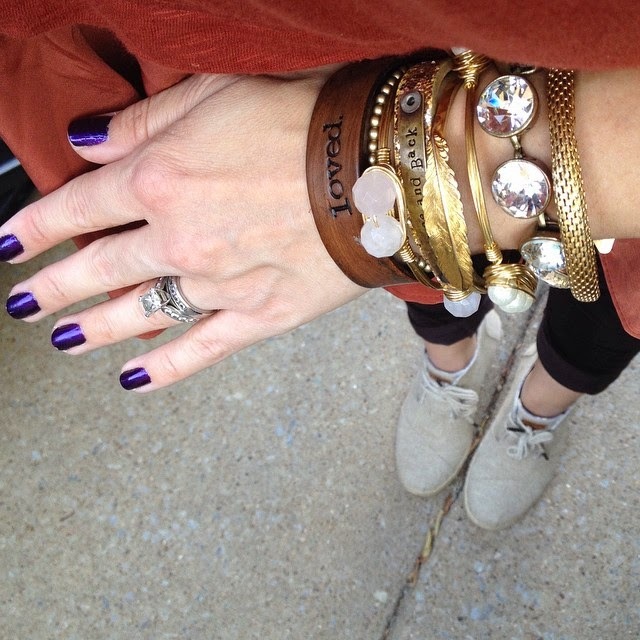 You seriously have the best arm parties in the blogging world! 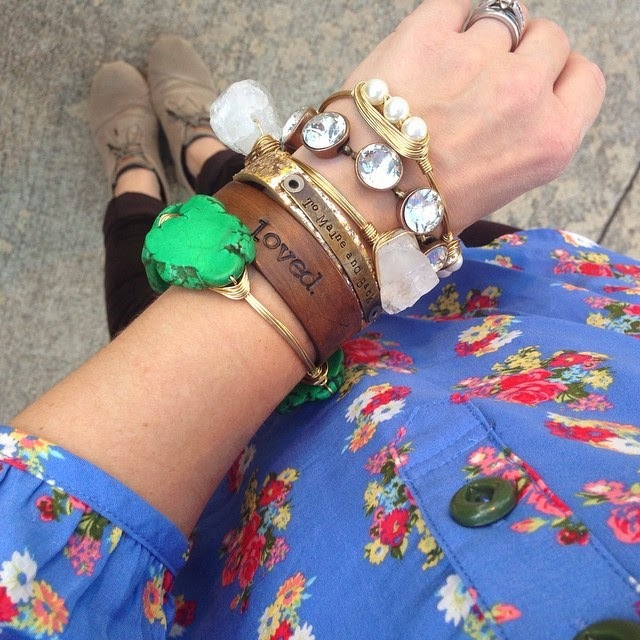 I'd really like one of those hand-stamped bracelets, so thanks for sharing the link to where you got them. Happy Friday! Seriously, please come style me! You have the best accessories EVER! My favorite bracelet is the hand-stamped. I'm thinking this would be a fabulous idea for the ladies for Christmas! My bracelet is in the mail....I hope it makes it today! 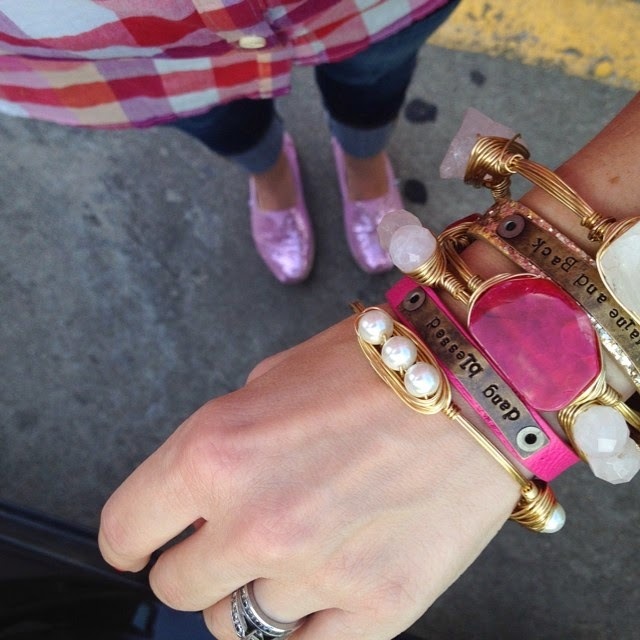 You are definitely the queen of arm candy! Thanks for the inspiration! Happy weekend! Love them all! The hand-stamped ones are my favorite with all the cute sayings! hi andrea, first time here. 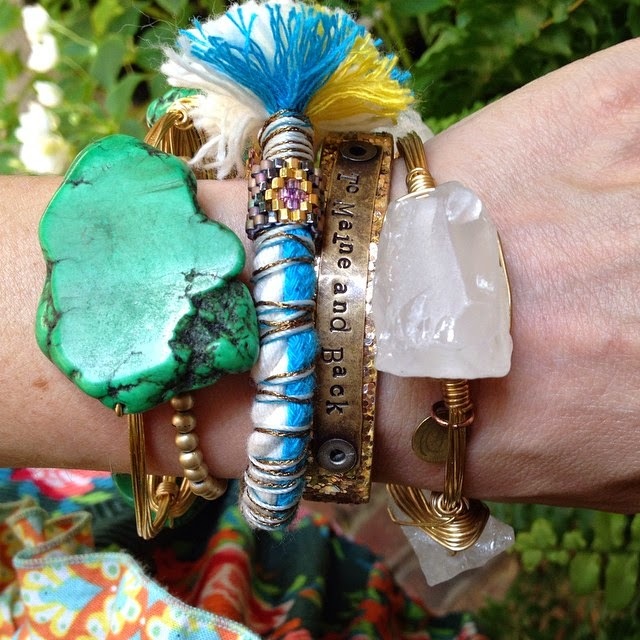 i love all the bracelets you wear-they are fabulous! and what an eye candy blog you have!